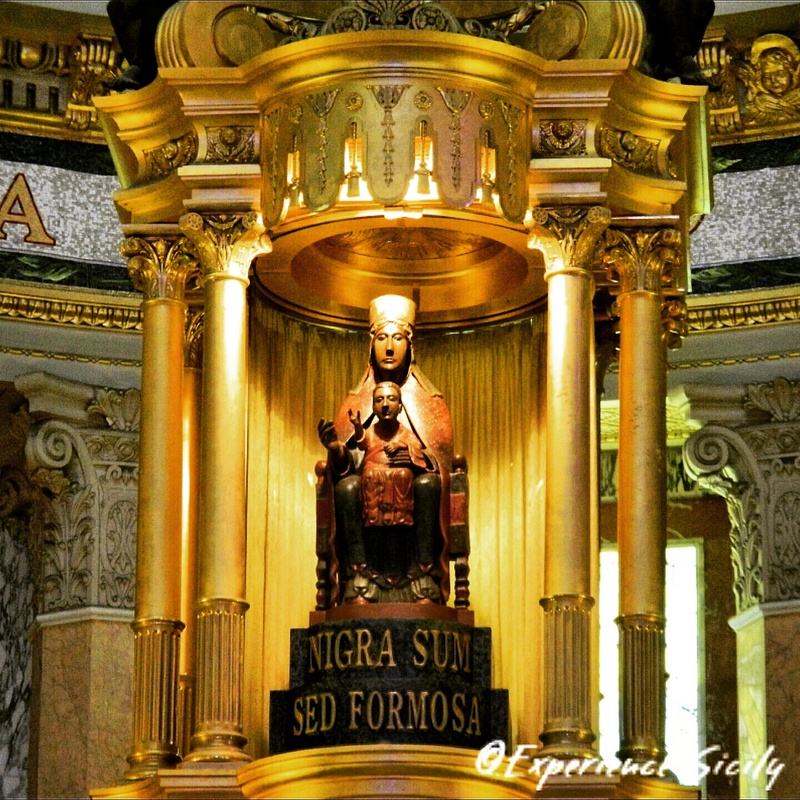 Nigra sum, sed formosa = I am black but beautiful… From the Song of Songs, 1:5. The Black Madonna of Tindari is celebrated today, September 8. Black Madonnas, which are found throughout the Mediterranean basin, are venerated in localities where ancient goddesses such as Artemis, Isis, Venus, Persephone, Cybele, and Mater Dea were worshiped for centuries. The Black Madonna of Tindari is housed in a sanctuary set high on a promontory where a temple to the goddess Cybele once stood. Hopefully someday you’ll see the entire basilica. It’s like Las Vegas! Seriously, it’s crazy, over the top!